Construction is a business HTML5 Template designed specifically for construction, building companies and those that offer building services. This is a clean and modern template with + 37 Pages design include. You will have +5 options for homepage. 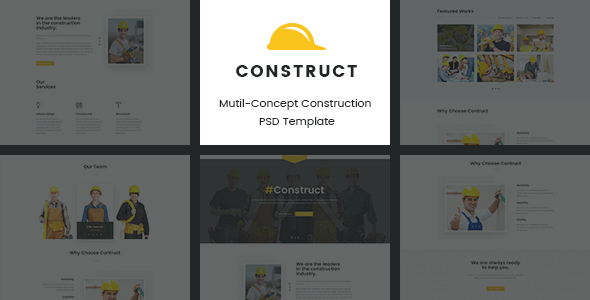 Construction is a multipurpose creative template that will jump start your business. Impress your users with unique and complementing aesthetics, pixel-perfect layouts, pleasing color schemes and much more. You can customize it very easy to fit your business needs. If you like my theme, please rate it 5 stars. It’s very useful for me.